TO BE FRANK: Building the American Dream in Business and Life. 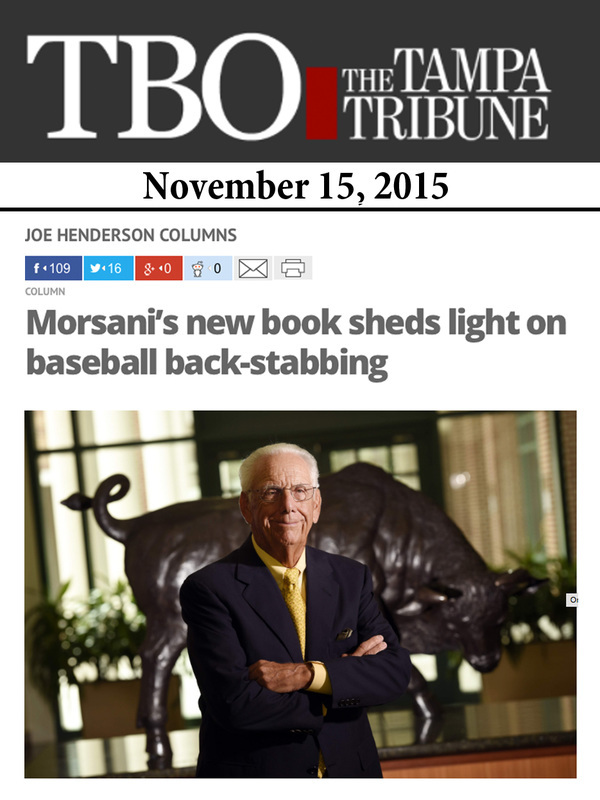 In the November 15, 2015 edition of The Tampa Tribune Online, Joe Henderson writes that Frank Morsani is "one of the most decent men I have ever known. If he gives his word on anything, that’s good enough for me." ​Check out this fascinating account of Morsani's determination to bring Major League Baseball to Tampa Bay — and find more details in TO BE FRANK, available on amazon.com. Click to the Tampa Bay Times online to read about businessman and philanthropist Frank Morsani's extraordinary life and career, on the occasion of the publication of his new book, TO BE FRANK, co-written with award-winning journalist Dave Scheiber. 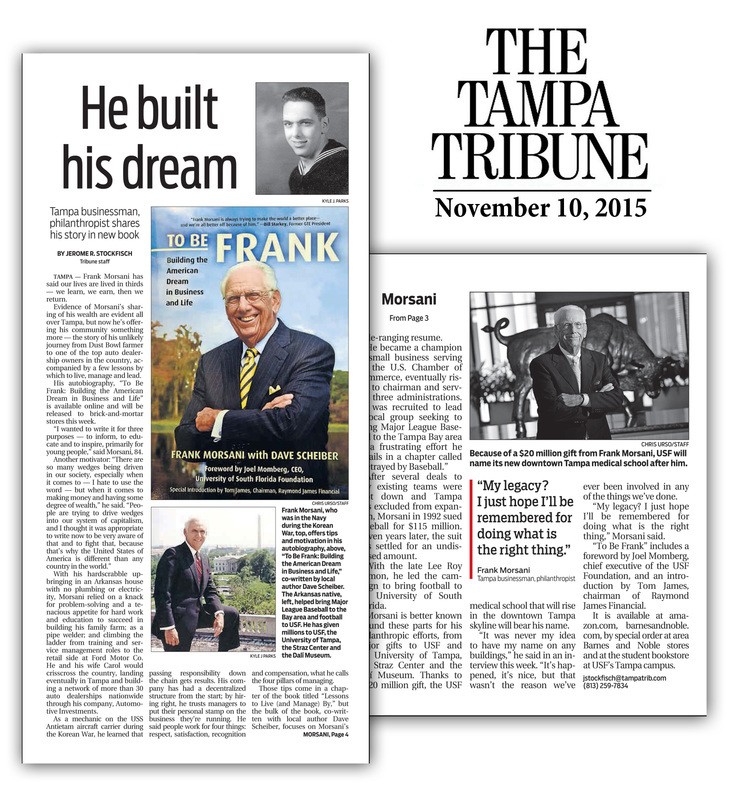 Link to The Tampa Tribune Online to read the 11/10/15 news feature about Frank Morsani's remarkable career and TO BE FRANK, the book that tells his story.